Sony Pictures's film franchises include The Karate Kid , Ghostbusters , Spider-Man , Men in Black , Underworld , Resident Evil , Robert Langdon , The Smurfs (via Peyo ), Sniper , and many more. The hiring of Guber and Peters by Sony to run Columbia was conflicted by a previous contract the producers had signed at Warner Bros. Time Warner 's chairman, Steve Ross , threatened Sony with a lawsuit for breach of contract . The lawsuit would be subsequently dropped when Sony sold half-interest in Columbia House and cable distribution rights to Columbia's feature films, TV movies, and miniseries to Warner Bros. Said agreement also saw Columbia sell its 35% interest in the Burbank Studios, and acquired Lorimar Studios , previously the MGM lot, from Warner Bros.
On June 4, 2008, SPE's wholly owned group 2JS Productions B.V. acquired Dutch production company 2waytraffic N.V., famous for Who Wants to Be a Millionaire? and You Are What You Eat for £114.3 million ($223.2 million in US dollars). On February 6, 2014, Columbia TriStar Warner Filmes de Portugal Ltda., a joint venture with Warner Bros. which distributed films from both companies in Portugal, announced that they will close their offices on March 31. Sony Pictures films are distributed in Portugal by Big Picture Films since then. In November 2014, the Sony Pictures computer network was compromised by a group of hackers named Guardians of Peace , disabling many computers. 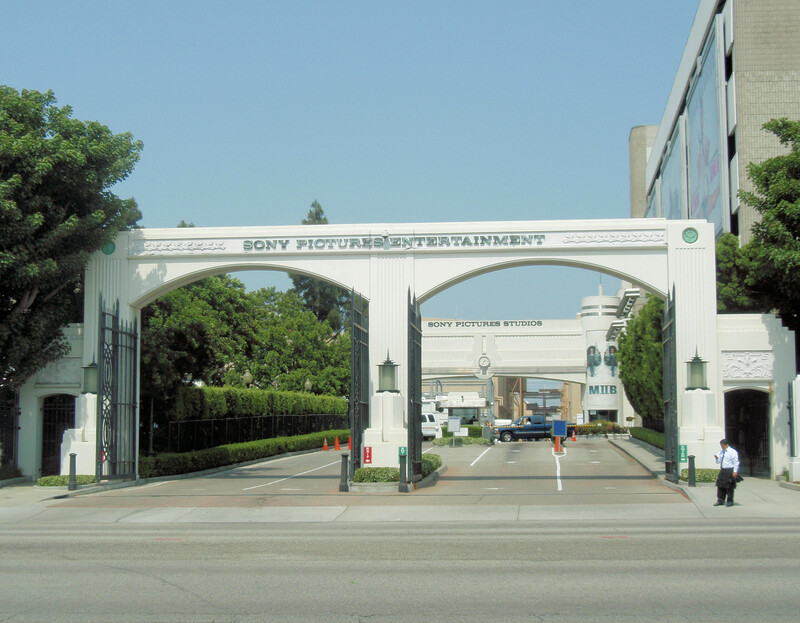 Later the same week, five of Sony Pictures' movies were leaked, including some not yet released (such as Fury and Annie ), as well as confidential data about 47,000 current and former Sony employees. Film historian Wheeler Winston Dixon suggested that the hack, which exposed the inner workings of the studio, was "not a pretty picture," and served as a "wake-up call to the entire industry." The hack also revealed some other documents, emails between Hollywood moguls referring to Barack Obama 's cinematic tastes, a possible partnership with Marvel Studios for the inclusion of the superhero Spider-Man in Captain America: Civil War , which was later confirmed on February 2015, amongst others. On December 16, the hackers issued a warning to moviegoers, threatening to attack anyone who sees The Interview during the holidays and urging people to "remember the 11th of September 2001 ". On December 17, 2014, Sony cancelled the previously planned December 25 release of The Interview in response to hacker threats. Headquartered in Culver City, California , USA, SPE comprises various studios and entertainment brands, including Columbia Pictures , Screen Gems , TriStar Pictures and GSN . Sony Pictures Motion Picture Group :  With a library of more than 4,000 films (including 12 Academy Award for Best Picture winners), as of 2004 this unit of Sony distributes about 22 films a year under its various studio brands in 67 countries. The group owns studio facilities in the United States, Hong Kong, Madrid , Mexico, the United Kingdom, Brazil and Japan. In addition to the company-owned brands below, Sony Pictures also has a contract to distribute select films by MGM and UA . TriStar Pictures : Formed in 1982 as a joint venture between Columbia Pictures, HBO , and CBS . Became part of Columbia Pictures Entertainment in December 1987 and the Sony ownership in 1989. Was relaunched in 2004 as a marketing and acquisitions unit that specializes in genre and independent films. TriStar Productions : A joint-venture between Thomas Rothman and SPE. Screen Gems : Originally Columbia's animation division and later a television production company best known for TV's Bewitched and The Partridge Family , as well as bringing The Three Stooges short subjects to TV in 1958. Sony revived the Screen Gems brand to develop mid-priced movies (production budget of between $20 million and $50 million) in specific genres such as science fiction, horror , black cinema and franchise films. Sony Pictures Releasing : Founded in 1994  as a successor to Triumph Releasing Corporation. The unit handles distribution, marketing and promotion for films produced by Sony Pictures Entertainment; including Columbia Pictures, TriStar Pictures, Screen Gems, Sony Pictures Classics, among others. Sony Pictures Home Entertainment : Founded in 1979 as Columbia Pictures Home Entertainment. Currently manufactures and distributes the Sony film and television libraries on Blu-ray and DVD . Sony Wonder : The former kids and family label of Sony Music Entertainment that was moved to SPHE on June 21, 2007. Destination Films : A "niche" motion picture company purchased by Sony in 2001. Stage 6 Films : A direct-to-video label created in 2007. Also releases some films theatrically. Affirm Films : A motion picture label launched in 2008 to release gospel and Christian films. Sony Pictures Television : (formerly Columbia TriStar Television Group) The successor-in-interest to Columbia's television division (first Screen Gems, later Columbia Pictures Television , TriStar Television , and Columbia TriStar Television ), as of 2004 the unit was producing 60 titles for various television outlets globally. Contains a library that includes more than 35,000 episodes of more than 270 television series and 22,000 game show episodes under the Sony Pictures Television brand, and the television rights to the Embassy Pictures library (including The Graduate and The Lion in Winter ) and also the owner of the television division " Embassy Television "—among most recent notable shows in this library are Seinfeld , King of Queens , Days of Our Lives and The Young and the Restless . Their former international distribution division, Sony Pictures Television International, was responsible for global distribution for the SPE film and television properties worldwide. Formerly known as Columbia TriStar International Television from 1992 to 2002. Embassy Row : A television and digital production company by Michael Davies. SPT acquired the company on January 14, 2009. TriStar Television: Originally launched in 1986 and folded in 1988. Relaunched in 1991 and became in-name-only in 1999. Relaunched again in 2015 as a production label within SPT. Funimation (95%): A U.S. distributor of anime . 2waytraffic : Acquired by Sony in 2008, this television production company owns a number of formats, most notably including Who Wants to Be a Millionaire? . Left Bank Pictures : A UK production company founded by Andy Harries , Francis Hopkinson, and Marigo Kehoe in 2007. Majority stake acquired by SPT in 2012. Crackle (formerly known as Grouper Networks): Crackle is a digital platform of Sony Pictures. It hosts videos on YouTube , Hulu , Dailymotion , and its own site, etc. Crackle is operated by SPT. 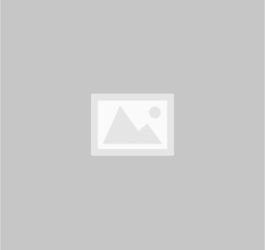 FunimationNow (95%): FunimationNow is a subscribe video on demand service of Funimation. It streams anime and Japanese / Asian cinema /TV titles from Funimation as well as some exclusive anime titles from Crunchyroll . AXN : Formed in 1997, AXN is Sony's entertainment television network, which airs across Japan, Asia, Latin America and Europe. Sony Pictures Networks : A subsidiary based in India. Sony Entertainment Television (India) and SAB TV are its main brands. It also owns many other companies and brands under the Sony brand. Sony Pictures Entertainment Japan (SPEJ): The company plans, produces, manufactures, sells, imports, exports, leases, broadcasts and distributes movies, TV programs, videos and audio-visual software in Japan. The company web site says it was established on February 10, 1984,  predating Sony's acquisition of Columbia Pictures Entertainment by 5 years. SPEJ was formed in 1991 through the merger of Columbia TriStar Japan, RCA-Columbia Pictures Video Japan, and Japan International Enterprises. Based in Tokyo, Japan. Sony Pictures Releasing became Sony Pictures' current film distributor since 1994. All information for Sony Pictures Entertainment's wiki comes from the below links. Any source is valid, including Twitter, Facebook, Instagram, and LinkedIn. Pictures, videos, biodata, and files relating to Sony Pictures Entertainment are also acceptable encyclopedic sources. "Consolidated Financial Results for the Fiscal Year Ended March 31, 2016"
"Motion Picture Association of America - About Us"
"New York Department of State Division of Corporations - Entity Search: Columbia Pictures Entertainment, Inc."
"State of New York Division of Corporations - Entity Search: Tri-Star Pictures, Inc."
"Sony to Buy Columbia, Says Americans Will Run Studio : 1st Sale of Film Maker to Japanese"
"Funding Universe - Columbia Tristar"
So many dreams so many losses. "Funding Universe - Sony Corporation"
"Sony Pictures Website Hacked, 1 Million Accounts Exposed"
"Sony Closes Slate Co-Fi Deal With Lone Star Capital, CitiBank"
"Sony Pictures Becomes Second Studio to Announce Ultra HD Films on Disc"
"Hack at Sony Pictures shuts computer system"
"Sony movies leak online after hack attack"
"Hackers Pirate Sony Films and Leak Studio Salaries"
"Sony Hackers Threaten Movie Theaters"
"Sony pulls 'The Interview'; the Internet reacts"
"Lawsuits against Sony Pictures could test employer responsibility for data breaches"
CCC director sold shares of Sony Pictures Television series producer. "Sony Hack: Amy Pascal and Scott Rudin Joked About Obama's Race in Leaked Emails"
"Sony Hack: WikiLeaks Publishes More Than 30,000 Documents"
"Sony Has High Hopes For Columbia Pictures"
"About Us - Funimation Films"
"Sony Pictures Entertainment Brings Marvel Studios Into The Amazing World Of Spider-Man"
Other wiki pages related to Sony Pictures Entertainment.